To use the term "I have been a bad blogger" would be an understatement.....I can't even promise to do better, all I can say is that when I can, I will. Big thank you to those who have stuck with me! Currently I am on holidays for 2 weeks and I popped in to school today to update our home corner. We have been looking at Biological Science and with the end of term being super busy we didn't get a chance to finish it. 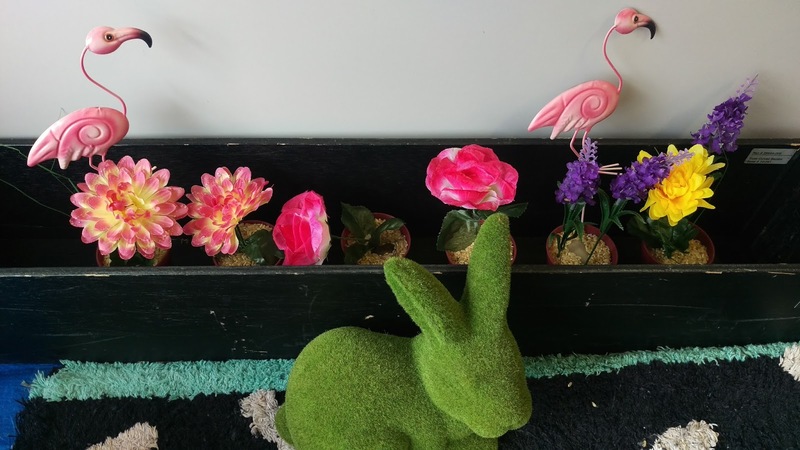 So I have decided to keep it going for Term 4 (before we head into Christmas activities....oh yeah we are heading there people) We will be adding in some real plants and talking about what living plants need to stay alive and compare this to our investigations into what animals and humans need to stay alive. 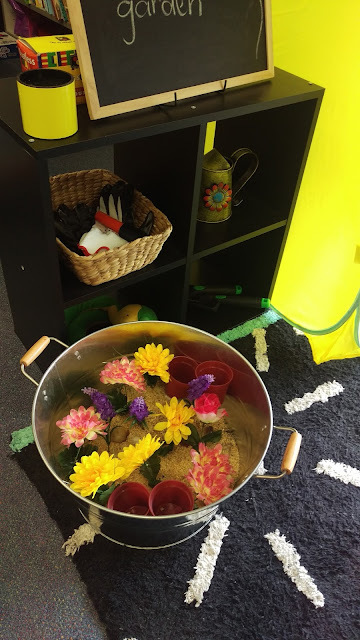 I will also be using this area for some measurement activities and literacy ( I need to add in my books about gardens and plants as well as some of our words for our word wall). So here are a few pics of what it looks like! 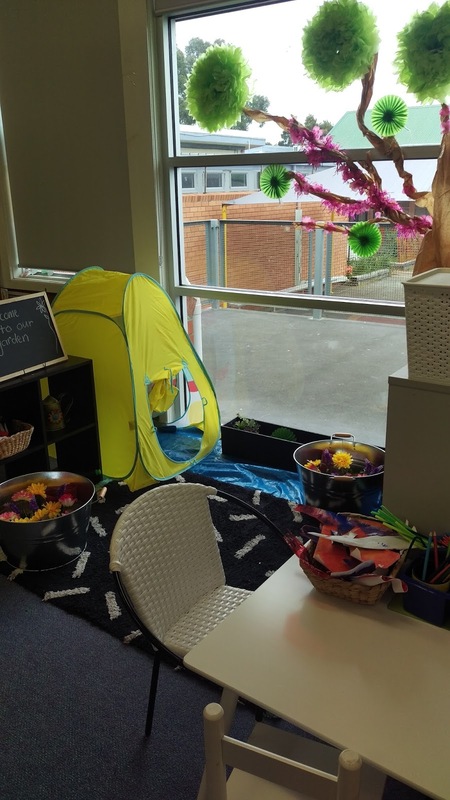 I moved our seasons tree into the "garden" and I have added a tent which is a time out/sensory escape for one of my students. Inside the tent will be a timer and a flickering tealight to help with calming. 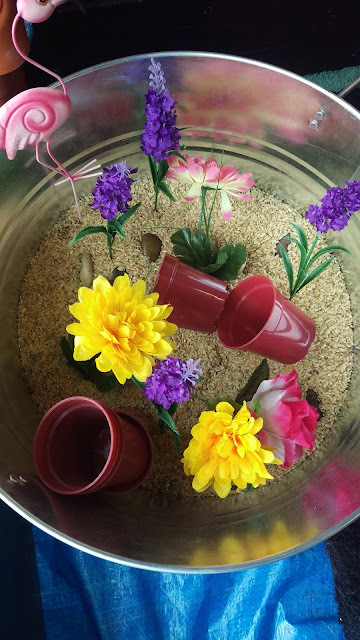 The table has paper, straws, pipe cleaners, glue, scissors, drawing and writing utensils as well as a bunch of other craft stuff so the kids can create and add to our garden. 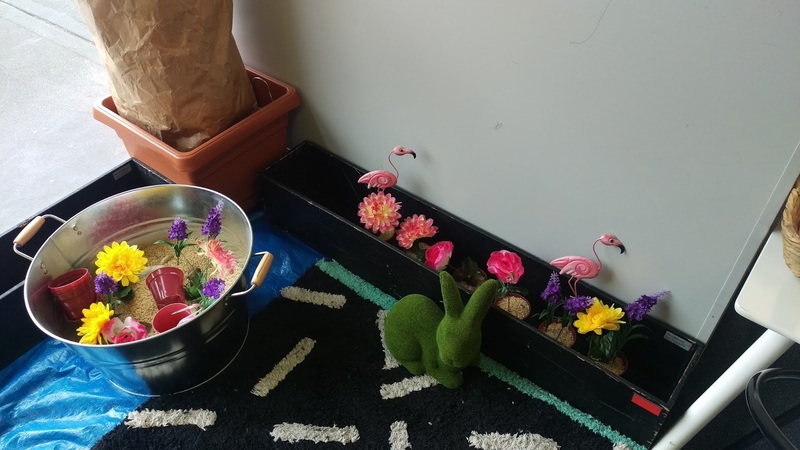 The glavanised tubs have brown rice, stones and lavender added as well as some plastic flowers for them to start the garden. How cute are those flamingos!! Some of the "tools" they might need, gloves, hose, watering can and small garden shovels. There is also a chalkboard for them to write messages about the garden. Here is a better look at what is in the tubs. I'm really looking forward to the creativity and learning that will happen in our "garden" this term and what better way to celebrate spring! It looks beautiful! I wish we could access our rooms over the holidays :( Love your ideas!